Ready to use! 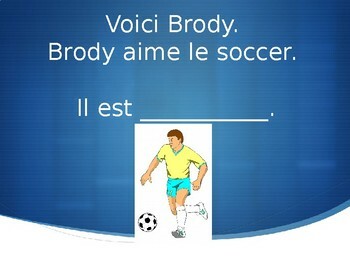 Use this powerpoint to get students speaking en français! 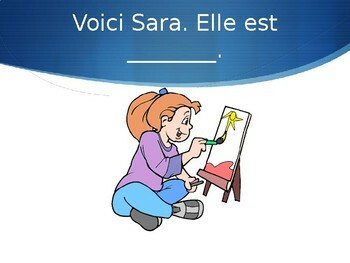 Students will read the sentence and fill in the blank based on the picture shown (e.g. Sara est artistique).